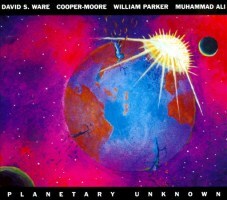 Planetary Unknown marks the first time this quartet played together, though that isn't apparent, given the music's deep roots and connections. Drummer Muhammad Ali is brother to Rashied, who worked with John Coltrane's post-Elvin Jones group. 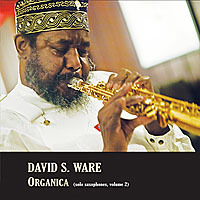 This is his first appearance on record since the early 1980s, and he brings a wealth of experience with the likes of Albert Ayler and Alan Shorter, to the table. 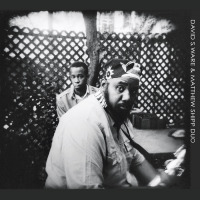 Saxophonist David S. Ware and pianist Cooper-Moore came to New York together in 1973, and this release marks their first collaboration in thirty years. William Parker vies for the title of "Charles Mingus of the 21st century," such is the breadth of his musical vision. The level of their understanding is on display on the opening "Passage Wudang," which is an invigorating blast. Ware's tenor sax tone is so steeped in history that it's positively scary, while Ali's way with fragmented time is the work of a man who deserves more chances to record. The maelstrom he and bassist Parker coax forth is remarkable in the degree to which it's equal to the moment's demands. "Shift" is propelled by Ali's rhythmic delicacy, and the resulting airiness informs the other men as they go about their work. 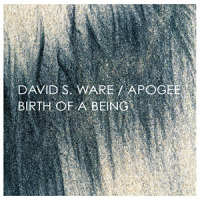 In view of the force of nature that Ware has become it's very easy to lose track of what Cooper-Moore is doing, but his sly way with dissonance marks him as a pianist appreciative of the whole of jazz piano history. It's this knowledge from which he fashions his highly personal expression. 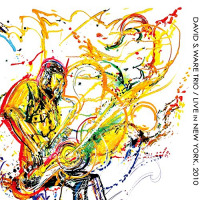 On sopranino sax, Ware has something of Anthony Braxton about him, especially as the two men share a penchant for phrases of rapid, barely articulated notes. The comparison is obvious on "Crystal Palace," but it's Parker, with his bow, who's the architect behind the piece's ecstasy. The rush of "Ancestry Supramental" is akin to some kind of demon's dance, but the music's motion is profoundly human as it's the net result of four musicians working as one. The profound spontaneity this implies is all over this music, which is one of the reasons why the program has the air of a twenty-first century classic about it. Track Listing: Passage Wudang; Shift; Duality is One; Divination; Crystal Palace; Divination Unfathomable; Ancestry Supramental. 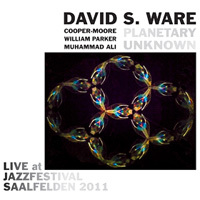 Personnel: David S. Ware: tenor sax (1-3), sopranino sax (4-6), stritch (7); Cooper-Moore: piano; William Parker: bass; Muhammad Ali: drums.